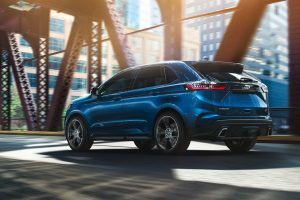 When it comes to vehicles that deliver great innovation and customization, look no further than the 2019 Ford Edge! This great vehicle delivers a ton of amazing performance features, as well as many great interior features, giving you a truly customizable driving experience! However, its insides aren’t all you can customize! The new 2019 Ford Edge also features many great exterior color options for you to enjoy! Continue reading below to learn more about what colors you’ll have access to!